Part of this blog is taking from Logic and Philosophy 10th edition., and would also be related to another blog of mine (Direct v. Indirect knowledge). Now we typically tend to think that certain things exist, like other people experiencing pain/pleasure, the existence of apples, flexible people, electrons, and the color red. We tend to think these things exist because they are told to us by people that we trust (or are told to trust) or because we have an experience of them through the senses. Now we can define an observable entity as “that which can be experienced or observed directly”. An unobservable entity as a “postulated entity that cannot be experienced or observed directly”. The natural question might be, what does ‘observed directly’ mean? Well, we would be working with our senses. That would be, sight, touch, sound, taste, & smell. Observed directly would be those things that are presented to our consciousness by that of the senses. It basically means, that which is experienced. There is no inference that is made. Some call this a ‘particular fact’. All of our experiences are particular, and thus based on particular facts. For example, I experience a sound. What makes the sound? That is an inference (albeit one that we make so fast that we tend not to notice it.) John Stuart Mill gave us an example of this. Now in the book Logic and Philosophy, they are talking about inductive inferences that we make. Now John Stuart Mill brought this up, in his book, that we use inductive inferences that we are hearing the voice of man. We are not hearing the voice of a man, yet we are hearing a sound. We make an inductive inference that the sound was that of man, because we had past experience of hearing that sound and seeing a man talking while we heard that voice. Now a classic example of inductive inference from what is observed goes as follows. At instance 1 I came across a swan and it was white. At instance 2 I came across a swan and it was white. At instance 3 I came across a swan and it was white…Therefore all swans are white. This means that the next swan that I should observe, it should be white. This is an inference based on direct knowledge. Nevertheless, we make inductive inferences that are not based on what we shall have directly knowledge on, like what causes what we shall directly observe. We find that we observe something, and we think there was a cause of what we observed that we cannot observe. In order to account for what we observe, we postulate unobservable entities (we can also call them theoretical entities) to account for the observable entities. These theoretical entities are something that we cannot, in principle, ever observe. We only observe the consequences, which is what we observed to begin with. Thus, we created these theoretical entities to account for what we observed. We shall never observe these entities, but they are invoked in order to account for what we did observe. “(1) Physical particles, such as electrons, which many scientists claim cannot be directly observed even in principle, constitute a kind of theoretical entity, for we must infer their existence. (2) Dispositional properties (discussed briefly in Chapter 13) constitute another kind of theoretical entity. An example is the property of being flammable. We can observe that something burns, but not that it is flammable. Similarly, we can observe that something bends, but not that it is flexible. Burning and bending are observable properties; flammability and flexibility are dispositional properties. Since dispositional properties are not directly observable, we must infer their existence. they constitute a kind of theoretical entity. Before I continue on, I should give you the definition of what they state are dispositional properties. Dispositional properties are “an unobservable power or potential of an item”. Now the first three, I think, should be obvious what they mean. Now the question might arise about the fourth on physical objects/material objects. The philosopher H.H. Price gives a good example of how they would be theoretical entities. The philosopher C.I. Lewis helps give us another example of what is going on, and how physical objects are unobservable entities, in his Mind and the World Order. Berkeley’s use of ‘ideas’ would be what C.I. Lewis, H.H. Price, and the authors of Logic and Philosophy, call sense data. Berkeley gives us a good example of this, when he talks about all the sense data that form what we call an apple. Now C.I. Lewis calls this a categorical interpretation. These names are just categories. We categorize all these sense data found to go together, and we give it a concept. We call this concept an apple. Thus, we do not observe an apple, but we observe a whole collection, a bundle, of sense data found together, which we give a name to. This name represents an unobservable entity. We do not directly observe an apple, but we directly observe sense data. W.T. Stace in The Nature of the World: An Essay on Phenomenalistic Metaphysics, gives us another example of what is going. We apply a concept to this sense data of shape and color. We apply the concept “pipe” to bundle of sense data. 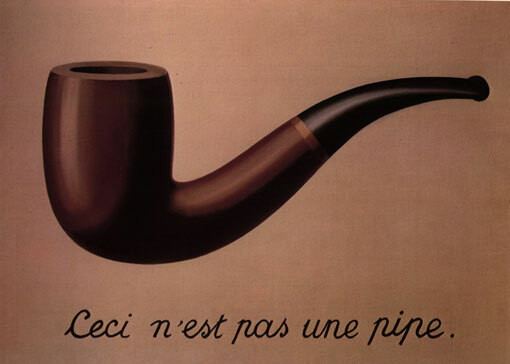 It is not a pipe, but we take the concept to be the thing signified by the concept (the bundle of sense data). Now electrons, soluble, your (not mine) pain, and an apple, are all theoretical entities. I have to construct these theoretical entities in order to form a picture of the world and predict what things I shall observe. The main point that can be taken away is this: We construct theoretical entities (unobservable entities) in order to predict what shall be directly presented to our senses (observable entities). What we do is make an observation. We find nothing that lead to what we observed. Thus, in order to account for this observation, we create a theoretical entity. We construct this theoretical entity that was never presented to our sense. Once we do this, we make an inference, based on the construction of this theoretical entity, to make an inference of what else we shall observe based on this theoretical entity. Now to fit this in, even more, with Direct v. Indirect knowledge, we can use the conditional statement of P–>Q. Now, in order to have a better idea of this conditional statement, somethings should be made clear about the implications of it. In order to do this, I think a truth table shall do to help one understand it. Now P and Q are statements of their own. They stand on their own. What we are doing is connecting these two statements together in a conditional statement. For example: P= the Eiffel Tower is in Paris; Q= Saturn is a planet. Now each of these statements, following the Law of Excluded Middle, is either true or false. That is why that we see T and F in the truth table under each symbol of P and Q. What we are doing is connecting each of those individual statements together under a conditional statement. Now the conditional statement is hypothetical in nature. One is not asserting that the antecedent (P) or its consequent (Q) are true. All one is asserting that if the antecedent is true, then the consequent is true. Another example is this: If it is raining, then the ground is wet. This is completely hypothetical, and is not stating that either of its components are true. Thus, we can reformulate it in another: Assuming that it is raining, the ground is wet. Now our unobservable entities, theoretical entities, are things that we construct, and state that they have a causal influence. We are assuming that they exist, and that their existence leads to observable effects that we do in fact observe. In fact, we already observed something and construct these entities and assume that they exist in order to account for our observations, and derive further observations. However, we run into a logical problem. Notice line three of the truth table under P–>Q. We notice that P could be false, and Q could be true. Now if P is an unobservable entity and Q is an observable entity, then we will know that the observable entity is true. What we will not know is that the unobservable entity is true. In fact, ~P could be true and lead to the same observable entity. In fact, ~P contains a logical infinity of other unobservable entities that lead to the same observable entity.Thus, we are left with an infinity of unobservable entities that have the same causal effect as P.
So unobservable entities have practical value to us, which is predicting observable entities. Nevertheless, we have no reason to accept the existence of such unobservable entities because there are an infinity of unobservable entities that all have the same effects. The problem is that they would all have an infinity of different concepts and entities that underlie them. Thus, we cannot decide if they really do exist or not. However, we can say that they are useful instruments. Another problem is this: Say we have an unobservable entity X. Now this unobservable entity is a complete model of itself, and makes a wide range of predictions of what we shall observe. This model also states what we shall not observe. The problem becomes is that there is an infinity of unobservable entities that are ~X and make all the same exact predictions of what we shall observe, and makes no more predictions than X. However, there is also an infinity of unobservable entities that make the same exact predictions as X, but makes even more predictions. However, this goes on with any unobservable entity. What one can take away from this is something that seems to be counter-intuitive. Most of what we believe is theoretical constructions that have no knowable existence. In fact, we can use an analogy. Most of what we believe to exist is like all of the water in the world. What we do know to exist is but a drop of water. This entry was posted on April 14, 2011 at 12:01 AM	and is filed under Philosophy. You can follow any responses to this entry through the RSS 2.0 feed. You can leave a response, or trackback from your own site.